A solenoid without a spring return needs the plunger to be returned to the starting position of the stroke by either gravity or some mechanism in the larger application. A spring can be added to make the plunger return to the starting position of the stroke on its own. The spring is usually added around the exposed end of the plunger. A groove is machined in the plunger and an e-ring is placed into the groove. This gives the spring a surface to act upon. Depending on the needs of the application, springs can also be internally integrated. The gauge and number of turns of copper wire that are used in the coil of the solenoid determine the appropriate voltage and duty cycle. An overbuilt coil will create magnetic inefficiencies and waste power (and money), while an underbuilt coil may create heat and lifecycle issues. 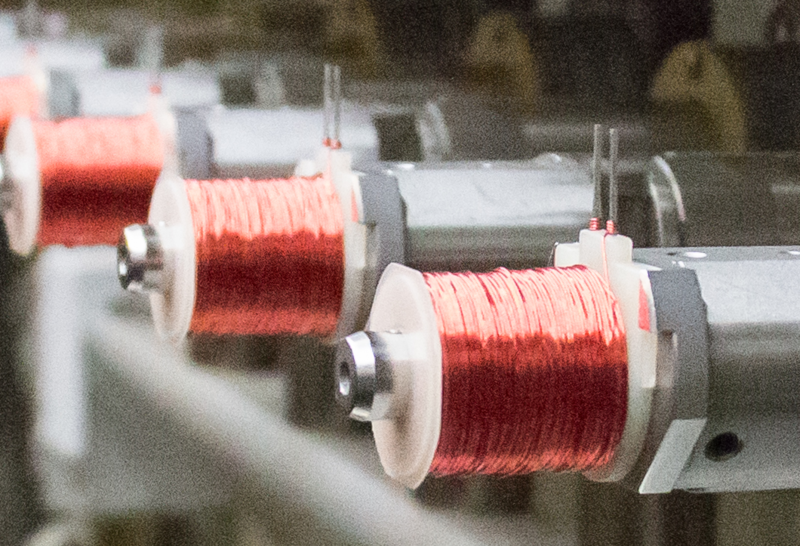 If the customer needs a non-standard voltage, we are able to create custom windings to best suit their application. 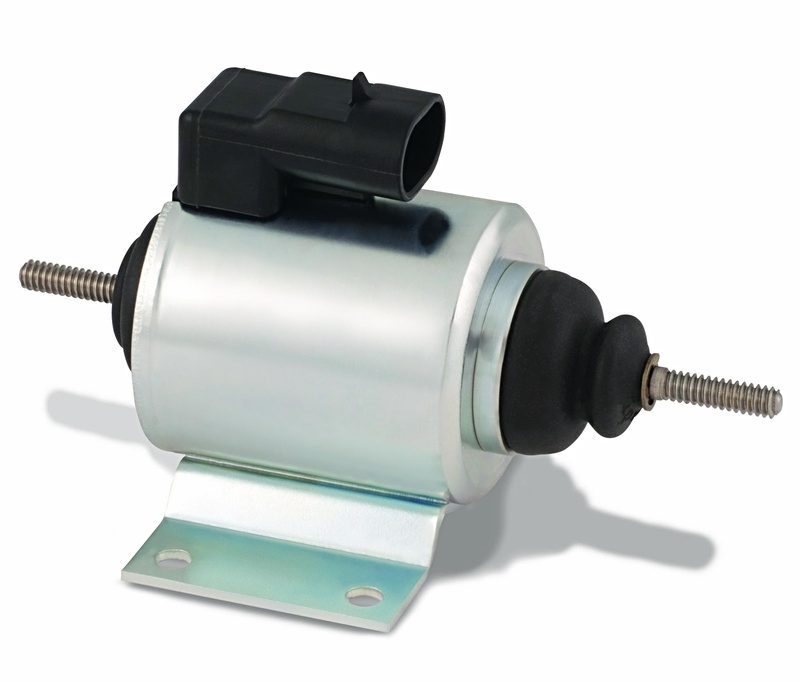 Applications that don’t limit the stroke of the solenoid run into a common problem…the plunger falls out. Many manufacturers, including MSA, do not include a retained plunger feature in standard designs. This is because retaining a plunger without knowing the user’s end stroke length will only limit their options. If the exact stroke length is known, the plunger can be retained by adding a pushrod with a groove and e-ring at a distance that limits plunger travel to the correct stroke length. Lead wires or spade terminals are industry standards, but the range of connector possibilities is wide. Connectors can be integrated directly into solenoid frame overmolding, or added to the end of lead wires. Having MSA integrate your preferred connector can make installation easier and eliminate soldering or adaptors. Changes to the end of the plungers are common in order to make it easier to integrate the solenoid into a larger application. 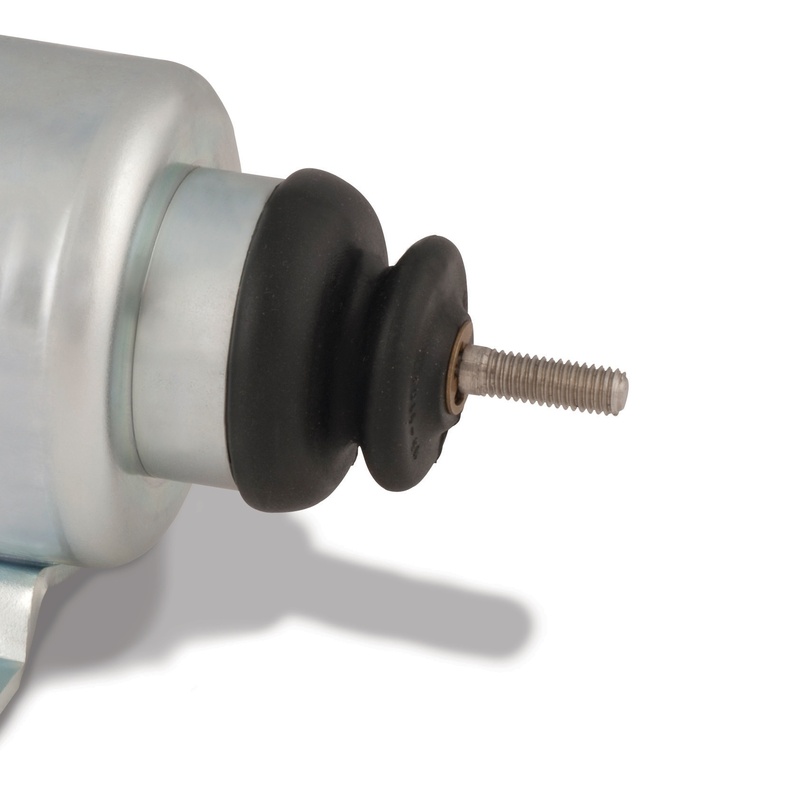 MSA reference products generally have clevice ends for pull units and blank ends for push units. Custom plunger ends can be cleviced, threaded, tapped, blank, or any other configuration that may be necessary. The internal end of the plunger can also be machined using different shape profiles that influence the stroke characteristics. The differences between different shape profiles are discussed in the MSA blog Solenoid 101. Solenoids that will be exposed to water, oil, or other tough environmental conditions can either have the solenoid coil encapsulated or the full unit overmolded depending on the necessary ingression protection. 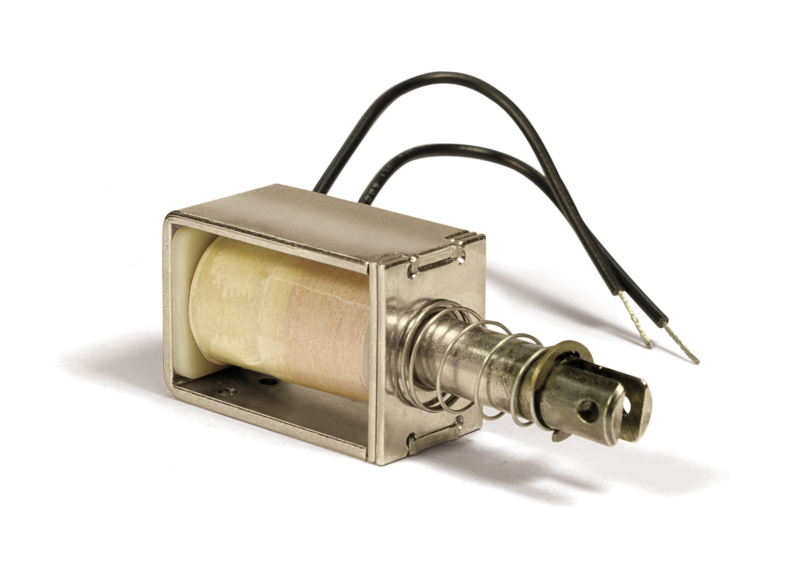 Connector type can also influence the solenoid’s ability to weather the elements. Latching at one or both ends of the solenoid stroke is possible. Latching is accomplished by integrating a permanent magnet at the end of the unit where the plunger should latch. The electromagnetic flux of the solenoid coil can be used to neutralize the pull of the permanent magnet and unlatch the plunger. 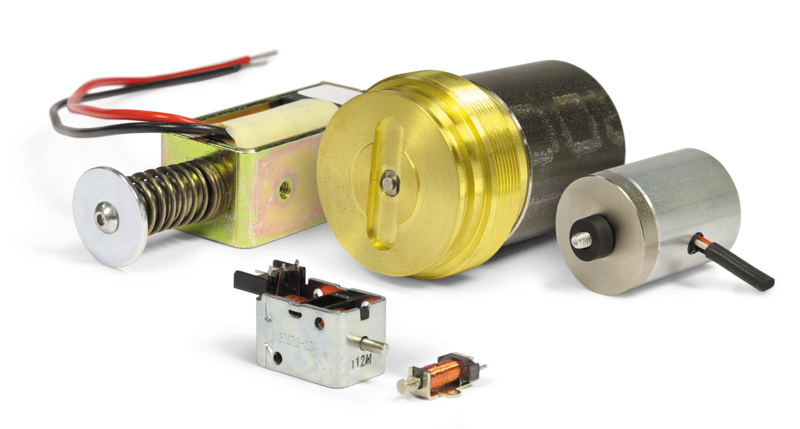 More detail on the design of these products can be found in the MSA blog about Latching Solenoids. This can be accomplished by using two coils to influence the same plunger. The plunger is positioned so that each coil pulls the plunger away from a centerpoint when powered. A “pushrod” plunger extension passes through the stop of one of the coils to transfer this kinetic energy to the larger application, although this “pushrod” will both pull and push. 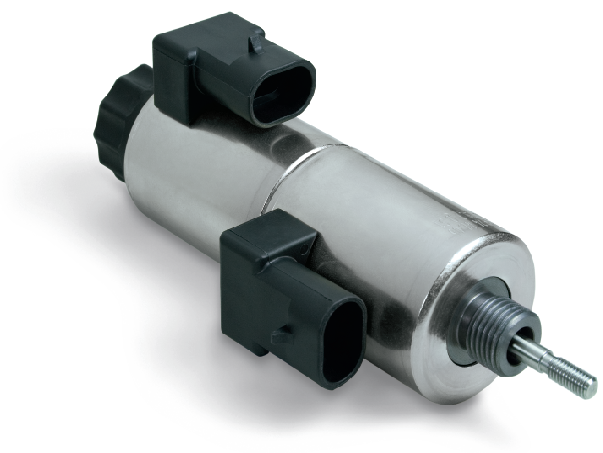 The addition of a second coil increases the cost and size of the unit considerably, but in applications where a spring return is not enough, a bi-directional solenoid can be a unique and fitting solution.